One Day font here refers to the font used in the title of One Day, which is a 2011 film based on the novel of the same name by David Nicholls. In the film, two college students spend the night together on the night of their graduation and agree to meet on the same date in the following years to see where they are in their lives. 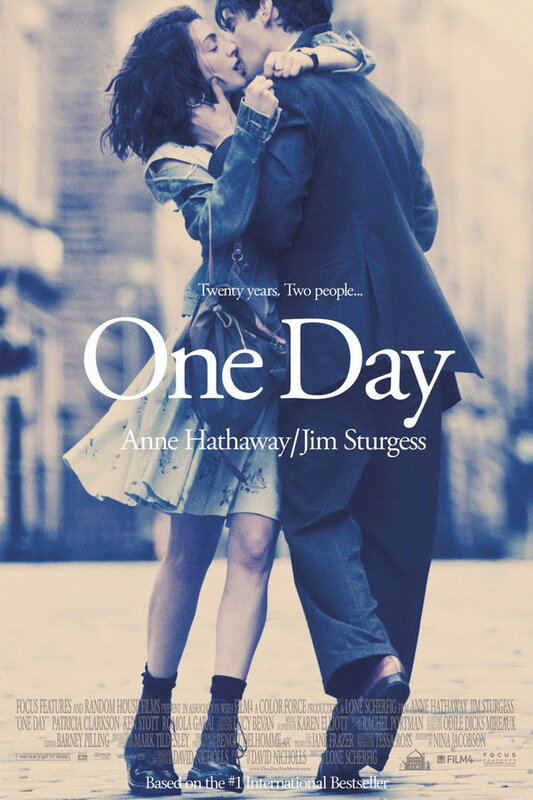 The font used for the One Day title in the film poster is very similar to Adobe Garamond Regular. The font is a commercial one and you can view more details about it here. In addition to One Day, Garamond typeface is also used in the following logos, movie posters or album covers etc., including: The Yellow Handkerchief, Abercrombie & Fitch, Christmas Vacation, Juicy Couture, Angel Dog, AirTran Airways, Lojas Renner, Labor Day, Steins Gate, Little Fockers, The Proud Family (TV Show), Wet Seal, The Thick of It, The Art of Mabel Mercer, Notting Hill.